The DNA Decoder is a publication created by students, for students. This is a platform for students to connect and inspire each other to talk about DNA with their peers, friends, colleagues, families, and community members. Every week, undergraduate and graduate students from universities across the country met over Google Hangout to create this beautiful work of art. Their challenge: do something creative to inspire other students to learn about genetics. Inside, you’ll find poems, songs, articles, interviews, cartoons, games, and other creative content about DNA. If you’re ever curious about genetics, this is a fun way to learn! 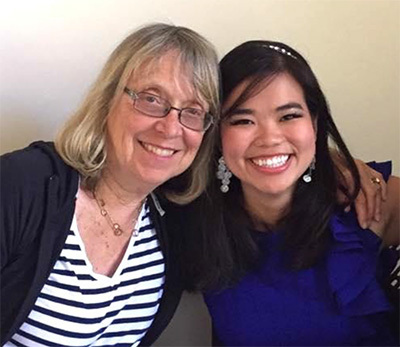 I was chatting with my advisor, Esther Wojcicki, at a coffee shop over a toasted croissant. Esther is my role model in education – she is passionate about teaching and she loves her students dearly. She wrote the book Moonshots in Education: Launching Blended Learning in the Classroom and is a world-renowned public speaker who champions the idea of student-driven learning (Learn more at www.moonshots.org). She was excitedly showing me all the magazines, newspapers, websites, and videos that her high school students from Palo Alto High School have created. “The students are amazing! We need to show them trust and respect and give them the space to create!” – she often exclaimed. At that time, I was trying to figure out how we can raise the genetic literacy in America. Why not let the students teach each other? I started inviting students from across the nation to co-create the DNA Decoder magazine together. My goal was to create a platform for students to connect and share their experiences and knowledge about genetics with each other. I hope that students will become inspired by these stories and ideas to launch Genetics Clubs at their own universities. The mission of the Genetics Clubs is to empower college students to cultivate a deeper appreciation for their genetic information and learn about the latest insights in genetics research. Students become more aware of how their DNA may impact their health and proactively develop positive lifelong habits. 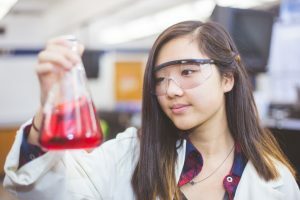 Students share their discoveries through a range of interdisciplinary perspectives, including language, music, art, history, engineering, and science. Finally, students are encouraged to engage with their campus communities by facilitating conversations on how genetics and the latest genetics research can be used to drive positive social change. (Learn more about Genetics Club). We thank Esther Wojcicki for inspiring the creation of the DNA Decoder magazine. We also thank James Ashenhurst, Kayla Capper, Kevin Cranfill, Stacey Detweiler, Pierre Fontanillas, Pooja Gandhi, Jacquie Haggarty, Ethan Jewett, Tracy Keim, Andy Kill, Cindy Kosinski, Becca Krock, Sarah Laskey, Hoang Nhan, Joanne Pelaschier, Jeffrey Pollard, Chelsea Robertson, Anjali Shastri, Desi Wiese, and Ruth Tennen for their invaluable feedback and support. Finally, we thank the team at Ruxly for their brilliant creative designs. We are incredibly grateful for everyone’s guidance and support.